Door Power can install the perfect garage door for your home. 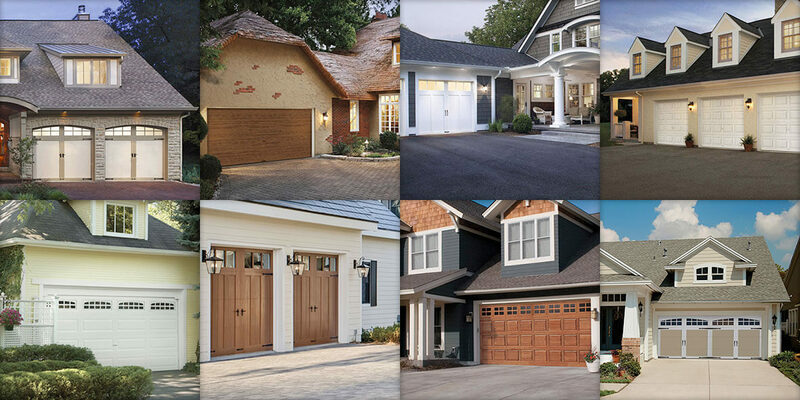 We work with many different types of doors, including aluminum garage doors, wood garage doors, steel garage doors, and composite garage doors. We have insulated doors, too. If you're looking for a great way to update your home's appearance at a low cost, consider getting a new garage door professionally installed. For great service, friendly technicians, and expert work, call Door Power for your residential and commercial garage door needs. A new garage door is a major focal point for your home's curb appeal. When you change your home's look with a professionally installed garage door, you are updating the home's exterior beauty. At the same time, new garage doors come equipped with many safety features that yesterday's doors didn't have, such as motion detecting sensors, reversal when the door hits an object, and more. Plus, a new door can provide additional security for the things you store in your garage. We are proud to feature Clopay garage doors for new installations. Our trained and qualified staff can also install and service Ideal, Ankmar, and Amar garage doors. We also proudly feature LiftMaster garage door openers for replacements and new installations. LiftMaster Openers warranty their motors and belts for life. Every repair we make has a minimum of a one-year warranty. Our service experts are also proficient in installing and servicing garage door openers made by Sears, Craftsman, Chamberlain, Genie, Stanley, and Wayne Dalton. We will install the best and repair the rest with the most experienced, ethical, courteous, and prompt technicians in the Minneapolis metro area.